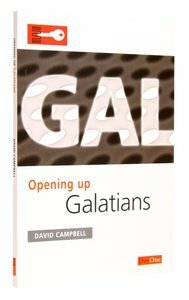 About "Galatians (Opening Up Series)"
Paul's first letter to the Thessalonians breathes love, concern and care, and it deals with practical matters for new believers - repentance, faith, living a transformed life, living happily with other believers in church, awaiting the second coming of the Lord Jesus Christ, and many other points. In Opening up 1 Thessalonians, Tim Shenton leads us carefully through all the main aspects of the teaching, and provides a good number of thought-provoking questions for further study, and for discussion and reflection. 1 Timothy is an urgent letter to a Christian in the thick of a crisis and a call to the local church to get on with the job God has called it to do - spreading the good news! Simon Robinson applies this message incisively to modern readers. This is a heart-warming and accessible introduction to a highly relevant New Testament letter, which is often overlooked today. There are many nuggets of insight into the specific meanings of the original text, which enable this clear exposition to be applied with penetrating relevance. I warmly commend it. The Opening Up commentary series is specially designed for ordinary Christians who want to get a clear grasp of what God's Word is saying to them, with practical application to their everyday lives. Each commentary features easy-to-read guidance that gets to the heart of the biblical text. Fantastic value!